We are pleased to offer this wonderful piece of advice from one of the greatest American authors. Dear Writer: Although it must be a thousand years ago that I sat in a class in story writing at Stanford, I remember the experience very clearly. I was bright-eyes and bushy-brained and prepared to absorb the secret formula for writing good short stories, even great short stories. This illusion was canceled very quickly. 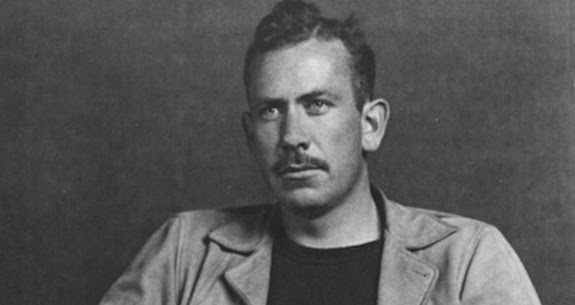 The only way to write a good short story, we were told, is to write a good short story. Only after it is written can it be taken apart to see how it was done. It is a most difficult form, as we were told, and the proof lies in how very few great short stories there are in the world. The basic rule given us was simple and heartbreaking. A story to be effective had to convey something from the writer to the reader, and the power of its offering was the measure of its excellence. Outside of that, there were no rules. A story could be about anything and could use any means and any technique at all – so long as it was effective. As a subhead to this rule, it seemed to be necessary for the writer to know what he wanted to say, in short, what he was talking about. As an exercise we were to try reducing the meat of our story to one sentence, for only then could we know it well enough to enlarge it to three- or six- or ten-thousand words. So there went the magic formula, the secret ingredient. With no more than that, we were set on the desolate, lonely path of the writer. And we must have turned in some abysmally bad stories. If I had expected to be discovered in a full bloom of excellence, the grades given my efforts quickly disillusioned me. And if I felt unjustly criticized, the judgments of editors for many years afterward upheld my teacher’s side, not mine. The low grades on my college stories were echoed in the rejection slips, in the hundreds of rejection slips. It seemed unfair. I could read a fine story and could even know how it was done. Why could I not then do it myself? Well, I couldn’t, and maybe it’s because no two stories dare be alike. Over the years I have written a great many stories and I still don’t know how to go about it except to write it and take my chances. If there is a magic in story writing, and I am convinced there is, no one has ever been able to reduce it to a recipe that can be passed from one person to another. The formula seems to lie solely in the aching urge of the writer to convey something he feels important to the reader. If the writer has that urge, he may sometimes, but by no means always, find the way to do it. You must perceive the excellence that makes a good story good or the errors that makes a bad story. For a bad story is only an ineffective story. It is not so very hard to judge a story after it is written, but, after many years, to start a story still scares me to death. I will go so far as to say that the writer who not scared is happily unaware of the remote and tantalizing majesty of the medium. I remember one last piece of advice given me. It was during the exuberance of the rich and frantic ’20s, and I was going out into that world to try and to be a writer. It wasn’t too long afterward that the depression came. Then everyone was poor and it was no shame anymore. And so I will never know whether or not I could have stood it. But surely my teacher was right about one thing. It took a long time – a very long time. And it is still going on, and it has never got easier. She told me it wouldn’t. This entry was posted in Uncategorized on January 23, 2015 by Elizabeth Smythe Brinton. 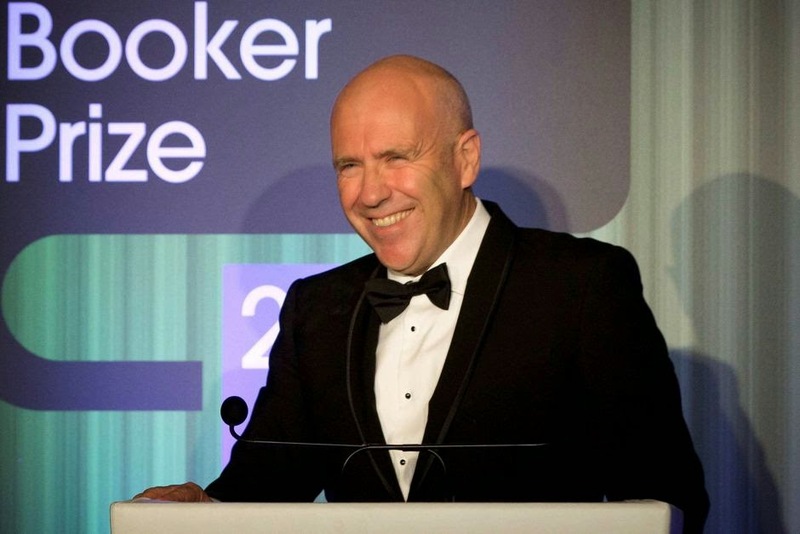 The Narrow Road to the Deep North by Richard Flanagan won the coveted award for 2014. Born in Tasmania in 1961, Flanagan spent twelve years crafting this masterful work. His writing is so vivid; his ability to put the reader right in the scene made for some grueling nights for our book club. The protagonist, Dorrigo Evans, once a captive of the Japanese army has the great misfortune to be enlisted to work on the Thai-Burma Death Railway. Their inhumane treatment of prisoners is regrettably, all too prevalent. Never before in my life have I read descriptions of atrocities with more turning of the head and knotting of the stomach. I found myself getting thoroughly depressed. Man’s inhumanity to man is nothing new to me but never before has it been described in a manner so profoundly real. Flanagan puts you in the sensibilities of the prisoners. You want to get away, but you cannot. The story shifts between Dorrigo’s love affair with his uncle’s young wife. It was another case of being captive, but this time by desire. As he recalls various times with young Amy, he also continually fails to let us forget who she is and how flawed he must be to have gotten himself involved with her in the first place. He can’t avoid thoughts and memories of their time together any more than he can get away from his captors. This is not a story of straight up redemption. We wish it to veer in that direction, but perhaps Flanagan wanted to paint a more realistic picture. 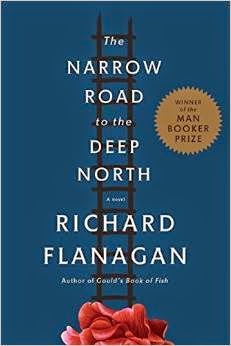 In reading about the book on the Man Booker Prize International’s website, I learned that Flanagan’s father had been a worker on the infamous narrow road. He survived his experience and died on the day his son finished the novel which was twelve years in the making. The writing is very vivid. The prize speaks volumes, as always. For much of the country, 2015 has begun with bitter cold and day after day of epic snow. Out west, we seem to veer from snow to rain. While I prefer snow, what I love most about winter is that it is so conducive to my great loves: writing, reading, skiing and fine dining. It is my hope that whatever the choice may be, the intelligent general audience finds a warm hearth, a cozy nook and a stack of books to enjoy this winter. This entry was posted in Uncategorized on January 19, 2015 by Elizabeth Smythe Brinton.